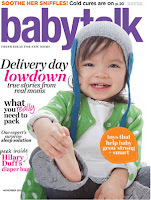 Get Free Subscription to babytalk Magazine. To begin your free subscription, simply complete and submit the form. You will never receive a bill. Babytalk has all the information expectant and new parents want and need — from health and safety issues to the latest and greatest products for baby.